Karim Pachiyannakis has worked in HSE and Quality for 15 years, and 10 of those in a leadership role. He has held positions in both the onshore and offshore oil and gas industry, including on both sides for an operator and service companies. Karim has an AS Degree in Engineering, BSc in Environment from University of California; Santa Barbara and an MBA from University of Hull, UK. His masters’ dissertation was on organizational behavior focused on HSE Culture. 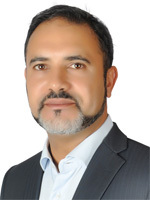 Karim has also authored and presented numerous papers on the subject, including six papers at the SPE International HSE Conferences.